Whether it was yesterday, or 20 years of yesterdays, you will always remember your days at the barre. Celebrate your love of dance with a commemorative brick in our Wall of Fame on full display in the main entry to JCB Dance Works. 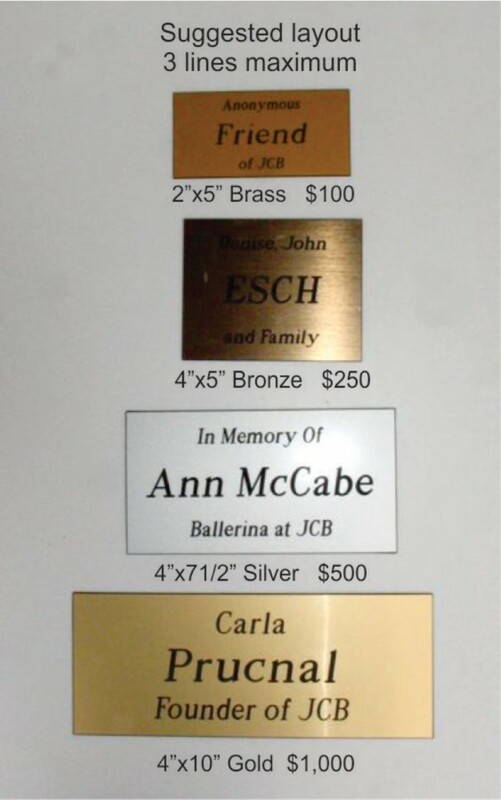 Each plaque can include your name, a family name, the year you danced, or the role you played, in a Johnstown Concert Ballet production. We welcome different donation amounts. For payment by US mail print order form, fill out donation level and text desired. 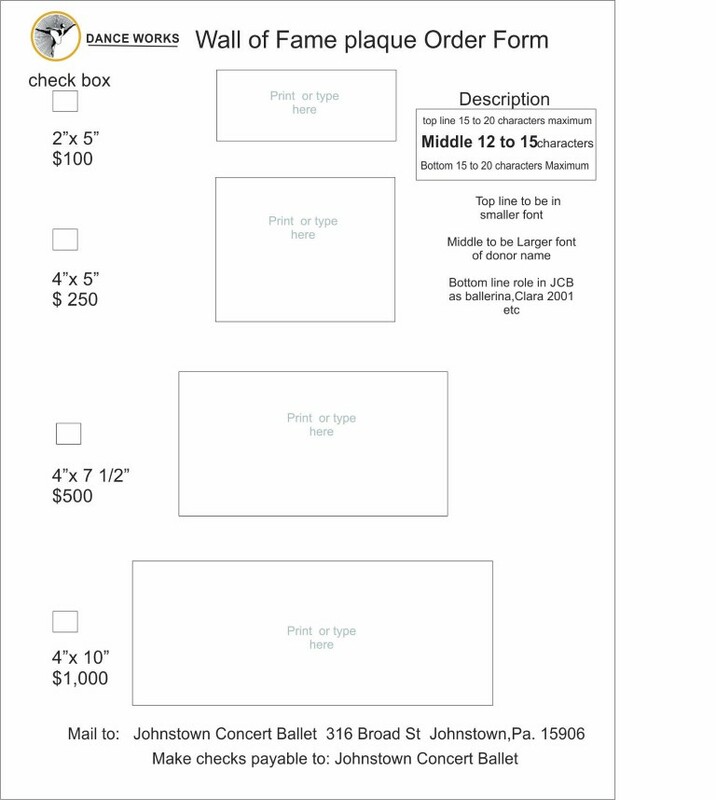 To print form, right click on order form to Save Image then follow computer’s photo editing program .. This is a beautiful way to commemorate a child’s ballet experience, or to say “thank-you” to a parent’s years of devotion. We envision this wall will be a sea of names that have passed through the dance company, carrying on its legacy of grace, discipline, and cultural education.